This is a rectangular Phillips Cycles porcelain sign. This particular Phillips Cycles sign is very colorful. 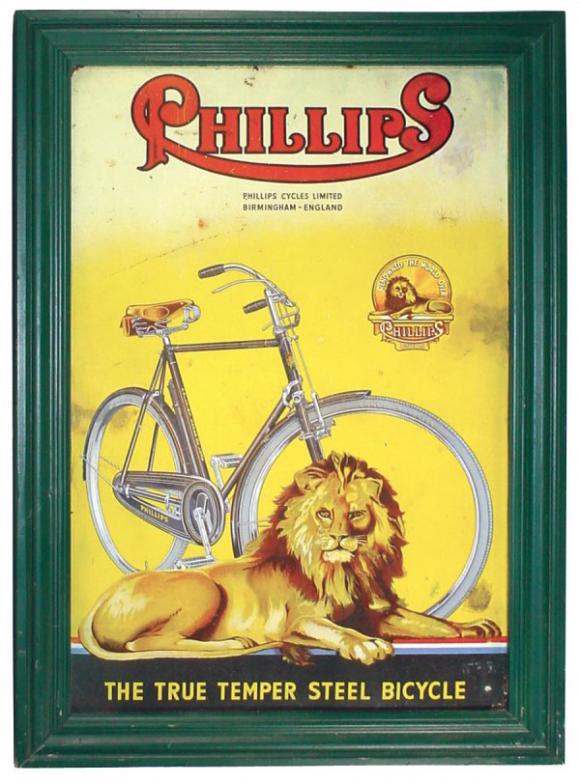 It reads, “Phillips, Phillips Cycles Unlimited, Birmingham – England, The True Temper Steel Bicycle” and features a yellow lion lying in front of a silver bicycle.